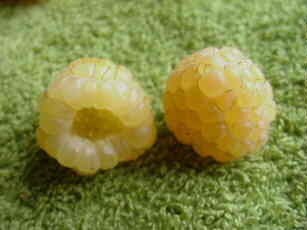 A new variety from New Zealand with very good quality rounded golden berries. The flavour is very sweet and fine. Season early-late August. The canes seldom need support.